Welcome to Fiji – the land of beautiful islands, secluded anchorages and happy, welcoming people. Fiji has an abundance of well-used and tested anchorages that offer access to good beaches, great watersports and plenty of fun and adventure ashore. 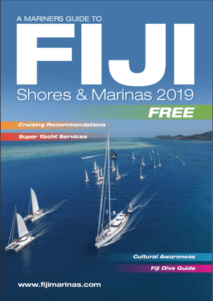 We have feature articles on a selection of them below in addition to those mentioned within Captain Carol Dunlop’s fantastic Cruising Notes for Fiji. Click on any of the anchorages below to read more about the amazing places you can choose to anchor and visit while cruising the tropical islands of Fiji and Rotuma. Don’t forget your Sevusevu when approaching a village to seek permission to explore the mainland! If you have any recommendations for future featured anchorages, please drop us a line – we would love to hear from you!